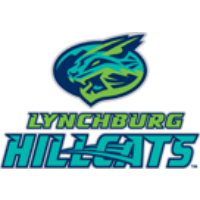 After being shutout in their last two games, the Lynchburg Hillcats offense erupted for seven runs to beat the Carolina Mudcats, 7-5, on Wednesday. Down 4-0, the Hillcats (25-24) registered their largest comeback win of the season to knock off the Mudcats (26-26). Trailing 4-3, Lynchburg pulled ahead for good with a three-run fifth inning. Mitch Longo and Luke Wakamatsu hit back-to-back singles to start the inning, and Jodd Carter scored them both with a two-run double, giving the Hillcats a 5-4 lead. The home team went ahead 6-3, after Trenton Brooks reached on an error that scored Carter. Carolina started the scoring with three runs in the first inning. With one out, Keston Hiura singled and Tucker Neuhaus walked. Ronnie Gideon followed by lacing an RBI single, scoring Hiura to give the Mudcats a 1-0 lead. Later in the frame, Weston Wilson ripped an RBI double to plate Gideon. Wilson came around to score on a Luis Aviles sacrifice fly to extended Carolina’s lead to 3-0. The Mudcats added another in the third inning. Wilson blasted a solo home run, his sixth of the season, to push Carolina’s advantage to 4-0. Lynchburg stormed back with three runs in the bottom of the third. Longo led off the inning with a single, and came around to score on a wild pitch. The frame continued when Wakamatsu singled and Carter was hit by a pitch. That set up Brooks, who grooved a two-run double to right-center field, scoring Wakamatsu and Carter to trim the deficit to 4-3. After the Mudcats got a run back to make it a 6-5 game, Anthony Miller provided some insurance by blasting a solo home run, his third of the season, to cap the scoring and stretch Lynchburg’s lead to 7-5. Hillcats starter Felix Tati (Win, 2-1) rebounded after a rough first inning and retired eight of the final nine batters he faced. He allowed four earned runs on five hits, striking out five. Luis Jimenez allowed a run in two innings in relief, and Billy Strode recorded two outs in the eighth. James Karinchak (Save, 4) earned the four-out save and struck out three. Lynchburg was able to get to Mudcats starter Cameron Roegner (Loss, 6-2), who allowed a season-high six runs (five earned) on seven hits in four innings. Roegner came into the game leading the Carolina League in ERA (0.68), and had a 28.2 inning scoreless streak. The Hillcats homestand concludes on Thursday with the finale and rubber match of the three-game series against the Carolina Mudcats. Left-hander Tanner Tully (2-4, 4.68) will start for Lynchburg against Carolina right-hander Marcos Diplan (1-2, 3.55). First pitch is scheduled for 6:30 p.m. at City Stadium. Thursday is Thirsty Thursday, featuring $2 drink specials on Miller Lite and Yuengling.